Immersion Caraïbes is happy to welcome you all year round in the warm waters of Martinique. 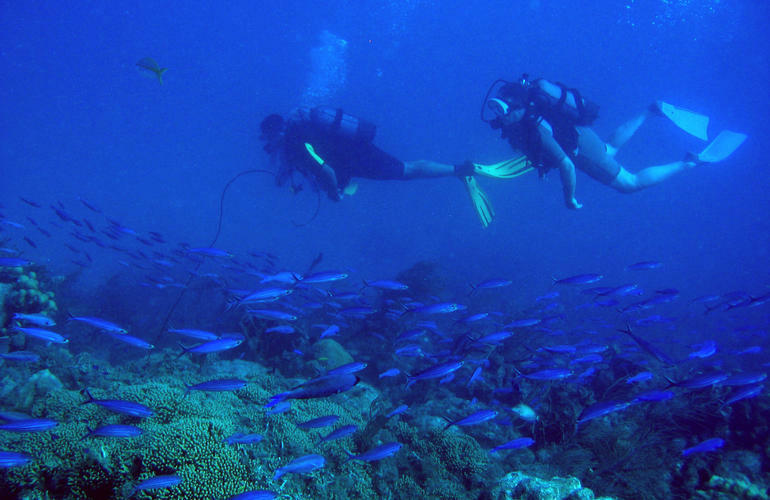 Discover the magnificent diving spots of Southern Martinique, from Sainte-Anne to the Diamond Rocks. The formula to happiness is simple: 1 boat, 1 instructor and many diving spots. Don’t be afraid to create your own programme, most diving days are adaptable to your needs and wants. You will explore the subaquatic world in small groups of 2 – 6 divers and will travel aboard Immersion Caraïbe's fast and comfortable speedboat. 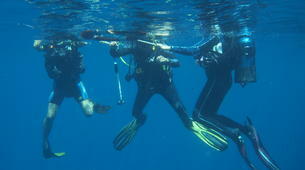 What better way to dip your fins in the greatest coral reef gardens! Whether you’re a beginner or an advanced level diver, come and have fun in a safe and secure environment. 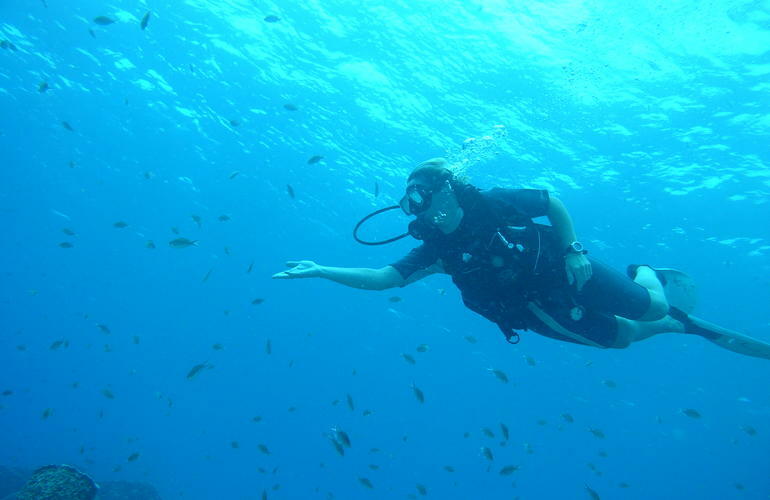 The diving areas are chosen depending on the weather conditions and your diving level, all whilst respecting the sport safety rules and environment. 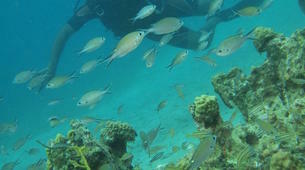 For children, this first dive course will be completely adapted to their age and morphology. Depending on these, the child can breathe from the instructor's regulator or have his own, small one. But the equipment does not really matter, what does is that the child breathes underwater, makes bubbles, and discovers the stunning life beneath! 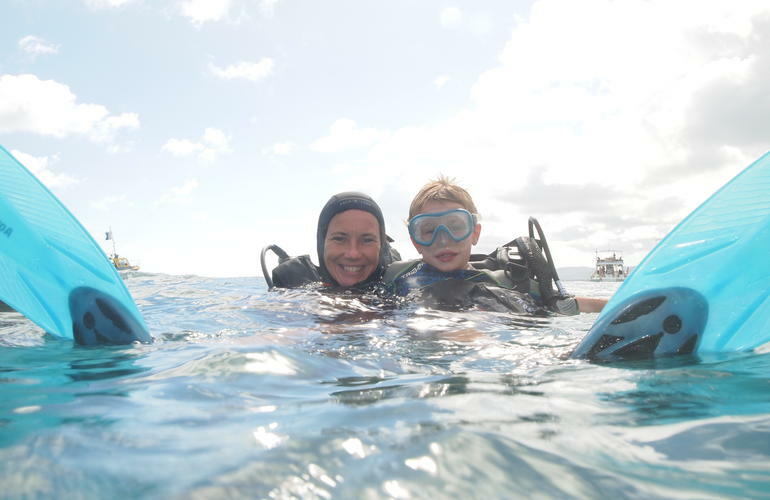 After the first dive, the child can obviously continue and progress underwater through various exercises proposed by the instructor, and thus the child will discover the sea and its environment in a playful way. The diving apprentice will get his own logbook where his progress will be logged and noted, as well as all the marine life, encountered so that when he turns 12 he will be able to pass his level 1 scuba-diving diploma! 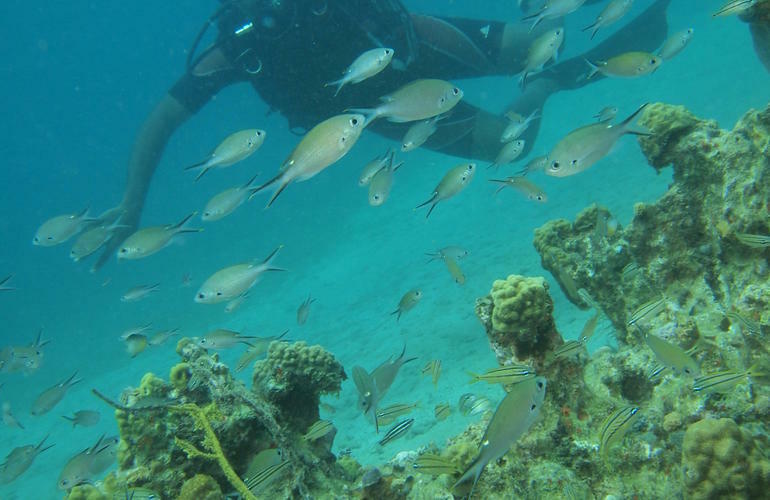 Immersion Caraibes takes you out to a variety of diving spots, the spots are chosen depending on the weather and water conditions of the day (La Point Borgnèse, Caye des Boucaniers, Aquarium, Ti' Mur/Voilier, Jardin de Ste Luce...). 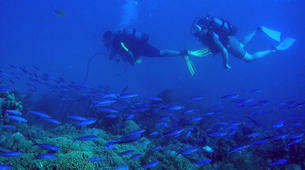 Dare to live out your dreams and come dive the beautiful underworld of Martinique! Never dived before? 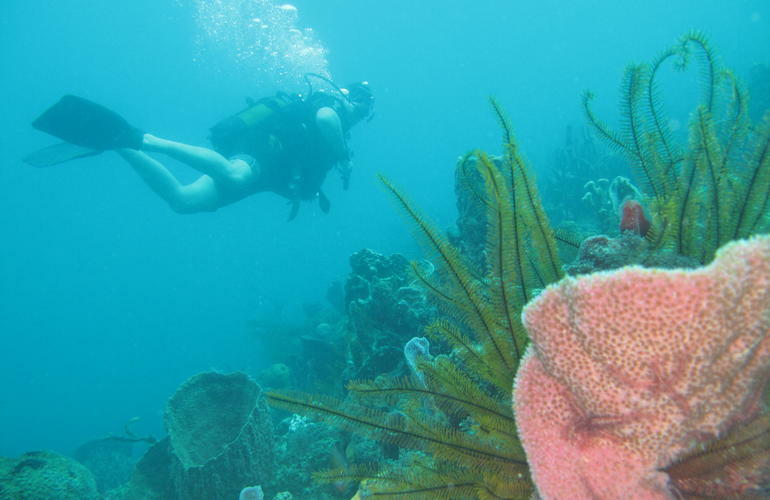 Want to discover the sea world and want to know what breathing underwater feels like? Dare do it! This first dive course is going to be your first trip below the surface, you are going to discover a new world made of calm, silence, beauty, and blue. 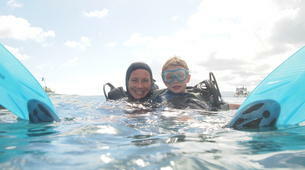 This discovery dive is open to anyone, whatever your age, experience, even if you don't know how to swim! The only risk your face is to love the activity, and want to do more! 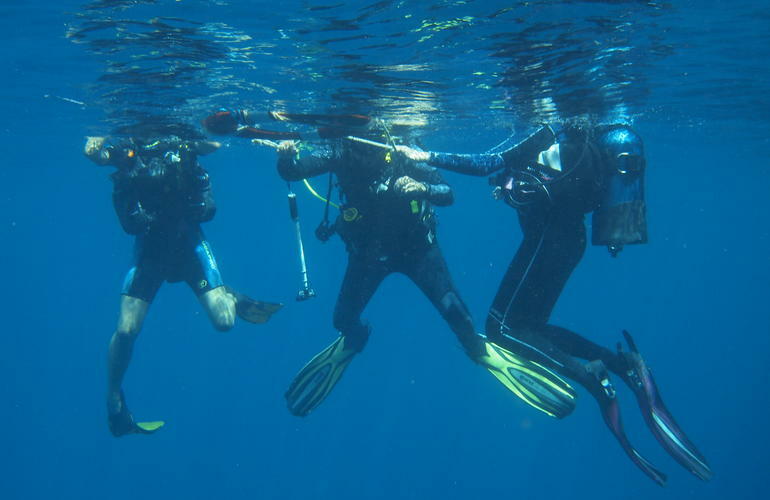 Be sure to bring your USB key so that you can get the pictures and video of your first underwater exploration! You will dive for approximately 20 to 30 minutes. After a short briefing about how the dive, the equipment and the fauna that you will encounter, all you need to do is put your fins and your equipment on, and get wet! 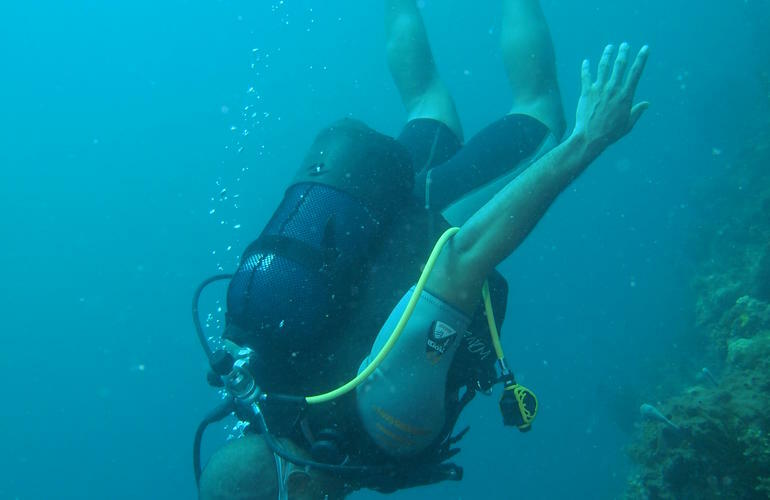 Your air tank will wait for you in the water and after a quick breathing exercise through the regulator, you will slowly go down below the surface! The dive will take place between 0 and 6 metres below the water surface, in total safety, and accompanied by your instructor Virginie. At a depth of 6 metres (max) you will see the amazing coral reef barrier. Your instructor will reveal several other superb locations. 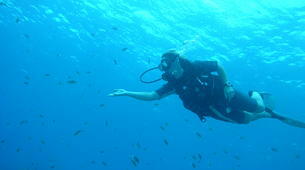 Diving is prohibited for pregnant women and people who have medical conditions that could be aggravated underwater. Amazing, outstanding and absolutely beautiful! Our first scuba was awesome. Lots of fun. superbe expérience. ..on y prend goût. ... je veux y retourner. .
Une vision magnifique. Très sympathique monitrice. Activité à conseiller.